"A goal in Education is an all-round development of the human person with respect to one’s ultimate goal and to establish non- violent and non-exploiting social, cultural and economic order based on a vision of life that is consistent with the Gospel and Dignity of human person." Says the Great Luminary and Visionary, the servant of god R.F.C. Mascarenhas, the founder of the Congregation of the Sisters of Little Flower. Dear Parents, students and well wishers I take this opportunity to greet you with immense joy, appreciation and gratitude for your love and support. Bethany Convent School has been at your service for over 51 years. This is not just a school but is a Family in which the Educational Community, the Management, staff, Students and Parents work actively to foster this FAMILY SPIRIT. 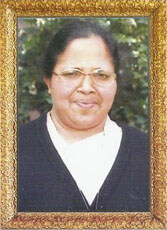 This entire atmosphere of Bethany Convent School is permeated by this spirit, which promotes love , justice, peace, collaboration and cooperation leading to a human family of trust, harmony and brotherhood, this guiding spirit has helped us to make a deep impact in creating GOODWILL among all sections of society. God is the real educator and Education is the work of Love. There are many role models who emulated as great educators and walked and walked on the footprints of the Lord with holistic approach. Bethany Convent School empowers the Teachers , Students and Parents to bring out quality individuals kind cooperation, love and service to school that enables the Management to maintain good standard of discipline , values , and carry on the spirit of the Founder. It is my privilege to serve the people of Naini through quality education and humble service. Mother Teresa said "I am like little pencil in God’s hand. That is all. He does the thinking He does the writing. The pencil has only to be allowed , to be used." My aim is not only to be an administrator but also to be friend and philosopher. I assure my humble service to the students, parents and others. I wish every student to abide by the motto ‘Love and Service’ and carry on the Bethanite spirit in all the activities they undertake. "May God bless Bethany Convent School and all those who labour untiringly to keep us moving ahead on the path of progress. May we learn from the PAST, live fully in the PRESENT and look forward with hope to a bright FUTURE. 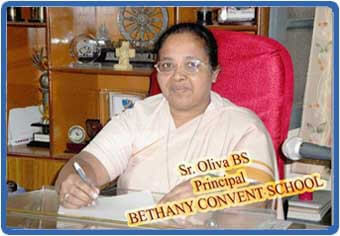 May the motto "Love and Service" inspire all those who come into the portal of Bethany Convent School." "A goal in Education is an all-round development of the human person with respect to one’s ultimate goal and to establish non- violent and non-exploiting social, cultural and economic order based on a vision of life that is consistent with the Gospel and Dignity of human person." Says the Great Luminary and Visionary, the servant of god R>F.C. 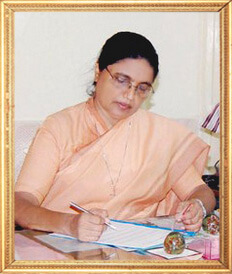 Mascarenhas, the founder of the Congregation of the Sisters of Little Flower. It is my privilege to serve the people of Naini through quality education and humble service. Mother Teresa said "I am like little pencil in God’s hand. That is all. He does the thinking He does the writing. The pencil has only to be allowed , to be used. "My aim is not only to be an administrator but also to be friend and philosopher. I assure my humble service to the students, parents and others. I wish every student to abide by the motto 'Love and Service' and carry on the Bethanite spirit in all the activities they undertake. "My special thanks to Mrs. Anita Daud the editor of Tulips and her team for their unstinting and painstaking effort in bringing up this elegant and resourceful newsletter. May God bless Bethany Convent School and all those who labour untiringly to keep us moving ahead on the path of progress. May we learn from the PAST, live fully in the PRESENT and look forward with hope to a bright FUTURE. May the motto "Love and Service" inspire all those who come into the portal of Bethany Convent School." Service is love put into action. If we consider ourselves as an embodiment of love, and if love put into action is service, then whenever we are in action we are in service. Every moment we interact with another human being, regarding of its physical manifestation, is a moment of service. It may be when we smile at one another or when we pray for others or we give hope, or when we assist others. It is said, "It is good to be blessed. It is better to be blessing". Like Mother Teresa we have in our time many people who render selfless service and become a blessing. T Raja, who was once a thief, a drunkard and a gambler, went to jail where he said to have made a pact with God: "If I get of here, I will spend my life doing your work". Today, he is famous in Bangalore as Auto Raja. He runs the ‘Home of Hope’, where he brings the destitute and gives them the dignity of a peaceful death. How did that happen? Here is his story. The son of the telephone lineman, Raja took to stealing, drinking and gambling early in life. He ran away from home and lived in the street for two years. He slept near garbage bins, his life was meaningless. He was just another destitute wandering aimlessly on the street of Bangalore. Unable to bear the life of such anguish, Raja decided to support his basic needs as an auto driver. During this phase of Raja’s life, he felt a constant struggle in his heart for answers about his life. He decided to dedicate his life to help the dying and destitute people in the streets. "My decision was strongly supported by my religious principles and my family", Raja said. He started the New Ark Mission of India in 1997 in a 5’X6’ feet passage outside his tiny single room house. Since then, he has committed his life to helping the destitute and dying. He brings them to his home, cleans their wounds which are sometimes infested with maggots, bathes and shaves them. He also tries to fulfill the last wish of every dying person in his home. Many residents of the home die in Raja’s arms. As the number of residents increased the need for a bigger home was crucial. It was during this time in 1998 that India Campus Crusade for Christ donated a half-acre land for the work of New Ark Mission of India. Over time, the Home of Hope was built in a serene half-acre plot at Doddagubbi village near Hennur in the outskirts of Bangalore. Today, this 3,300 sq.ft. building accommodates more than 170 residents. "It is my dream to make sure that not a single person remains homeless in the streets of Bangalore" says Raja. And as he told a group of college students during their visit there "If I, who have studied only up to standard III can achieve all this, imagine how much more you can do." So, let’s not wait for the right time, the right place and our imperfections to vanish. Let’s start God’s work. And let’s start it now and be of service to other. My greetings to all the readers! 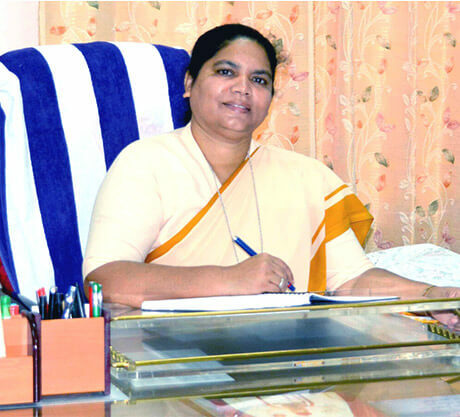 This Web site gives me an opportunity to reach out to you all after taking over as Principal of Bethany Convent School, Allahabad. This school is a microcosm of the larger world for which we equip our wards using our pedagogy of "Love & Service". Character develops itself in the stream of life. Life in BCS is education itself. We ignite the human spirit and the mind of our wards and teach them not what to think but how to think. Thus, they can continue to grow and broaden their horizons, which is the object and reward of learning. Apart from the knowledge of facts, we emphasize on the knowledge of values and weave a variety of educational experiences into the fabric of school life. Our aim is to provide a sound education designed to train our pupils for the world of tomorrow imbued with the zeal and spirit of service for each individual child entrusted in our care. To fulfill our educational aims, I look forward to building up strong alliances with all our collaborators in education: the parents, the faculty, the administrative staff the management, and our I.T. service provider Digital Dreams Systems. I acknowledge the contribution of all who have helped in the growth of this institution. It is the weaving of these individual threads that has created the rich tapestry of Bethany Convent School, Allahabad. Along with imparting value-based education, we are resolved to stand with the marginalized and weaker sections of society, to work together in caring for our earth and in educating others in the responsible use of its resources and to be instruments of reconciliation, pardon and compassion. We cannot overestimate the importance of this mission because our very existence tomorrow depends on it and our capacity to counter the negative impact of societal trends towards violence and materialism. I am committed to upholding the ideals of our Founder, and to change the lives of our students in a positive way. The essential qualities I wish to foster in them are love, integrity, humility, courtesy, wisdom and charity. To all who read this message, I wish an abundance of the peace and joy of Christ our Lord.